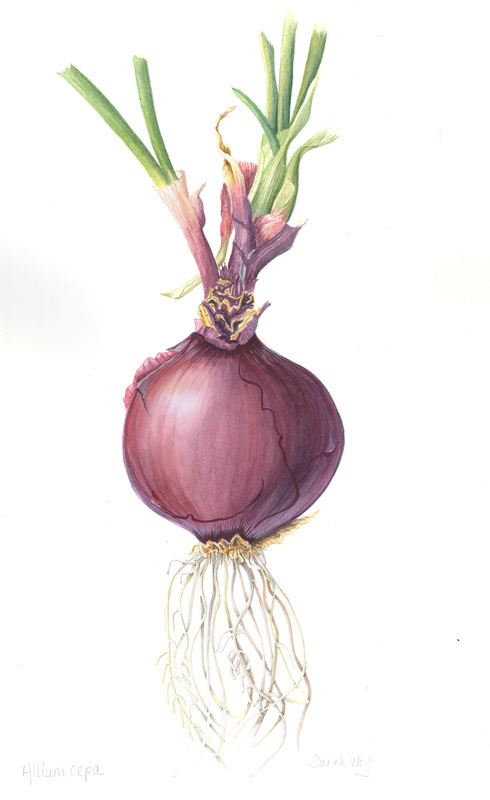 I find fruits and vegetables so simple but they can be beautiful and a great subject because the drawing is often less complex than botanical subjects so you can get to the painting quickly. 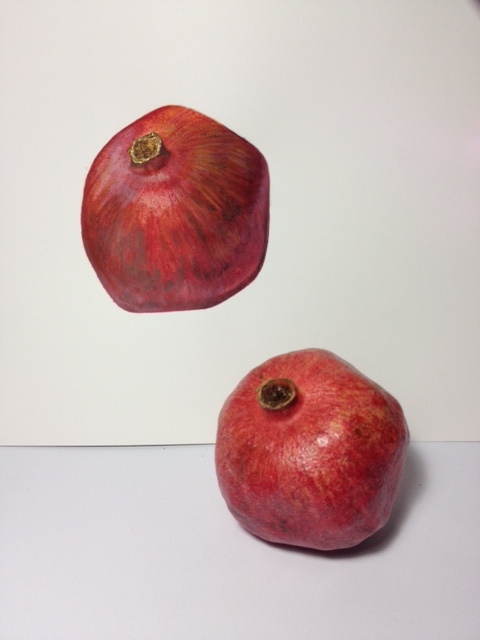 I sell paintings on this site as prints but also offer commissions to those who can just picture their favorite fruit or vegetable on their kitchen or dining room wall. Apples are a favorite subject of mine. A Braeburn apple. This apple painting started out as an exercise in class.